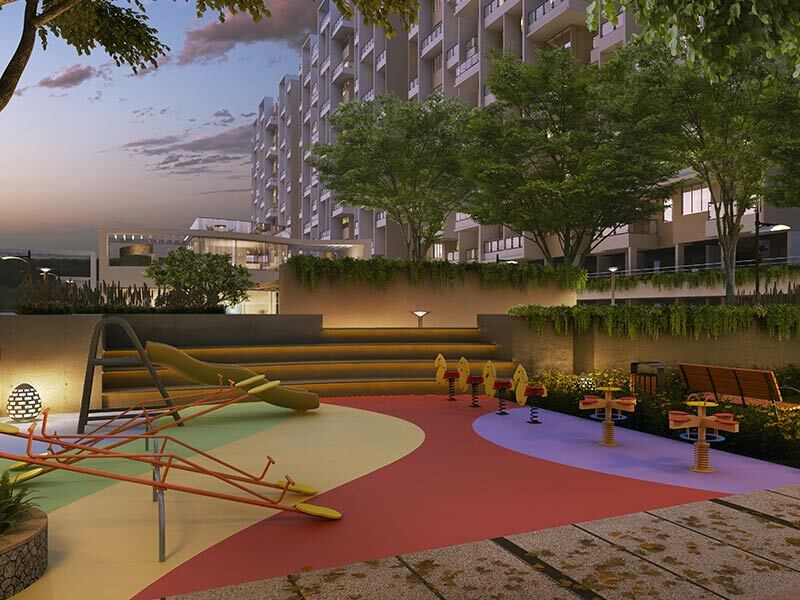 VTP Urban Nest: Luxury apartments encompassed with rich features for a life of wholesome goodness! Pune is a beautiful city in the state of Maharashtra that has a lot to offer its inhabitants. From lush greens and low air pollution, to education hubs, job opportunities, IT parks, historical landmarks, nightlife and more, there is nothing that you cannot find when residing in Pune. Today, Pune is one of the most loved cities in the country. 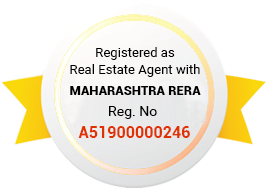 The real estate market in Pune has doubled over the past couple of years with a number of residential as well as commercial projects throughout the city and its outskirts as well. If you are looking out for premium luxury and a place you can call home, this is where you need to be. 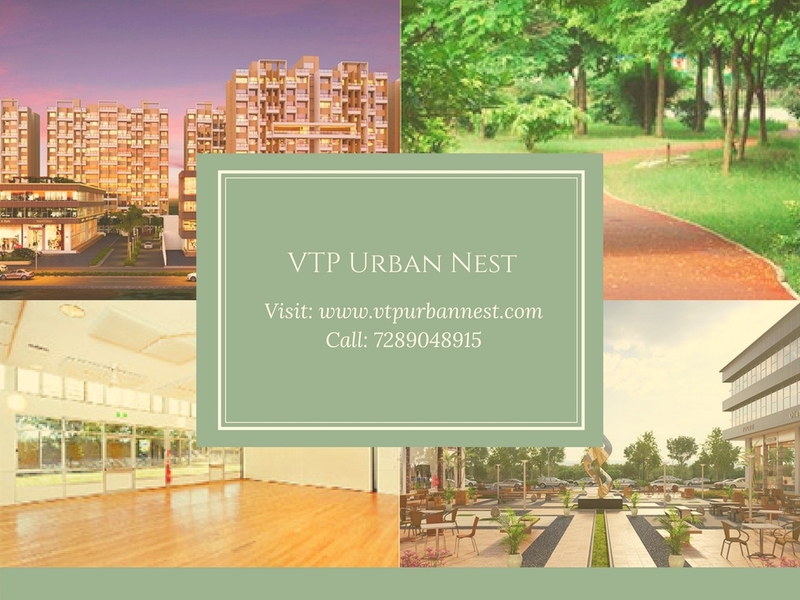 VTP Urban Nest is a new residential project in Pune by VTP Group that offers a modern-day lifestyle packed with abundant luxury and comfort like no other! Spread over vast acres of luscious land, this residential development contains distinguished structures that offer 1.5BHK, 2BHK as well as 3BHK luxury apartments that are crafted to suit your taste perfectly! The apartment carpet areas start at 552 sq. ft. and go up to an amazing 841 sq. ft., providing ample luxury space to meet all your needs and requirements. 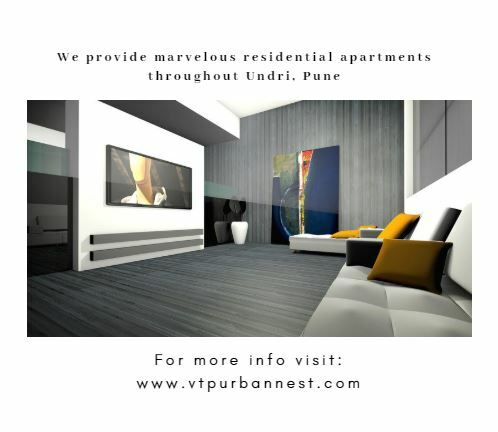 VTP Urban Nest Pune is a well-endowed residential project that offers a plethora of features for an urban lifestyle that is packed with luxury and comfort. The apartments are spacious, provide ample natural lighting, cross ventilation and contain high-quality vitrified flooring, anti-skid flooring in dray areas and balconies, premium fittings & fixtures, tough doors, large balconies and aluminium powder coated windows providing mesmerising landscape views, plush kitchens with granite counters, stainless steel sinks and multiple provisions, hi-tech home automation and the list goes on. This development also boats spectacular external amenities that will blow your mind! The external amenities include a grand clubhouse for recreation, well-equipped gymnasium, swimming pool, jogging track, meditation centre, sports facilities and a play-area for your kids, amphitheatre, multipurpose hall, gorgeous landscape garden, efficient car parking facility, power back-up for emergencies and well-trained security. This development also takes up rain water harvesting. Experience a world filled with fun and excitement that is nothing short of a wonderland! 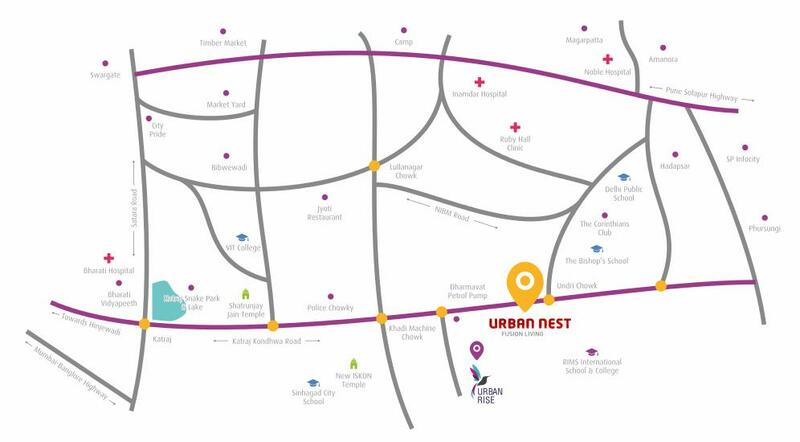 Located at Undri in Pune, VTP Urban Nest Undri has all of your everyday and emergency landmarks in close proximity and offers a life of convenience that you and your family will surely love. Places like schools, colleges, institutes, banks, ATMs, malls, shopping centres, supermarkets, convenience stores, cinemas, restaurants, cafes, clubs, pubs, lounges, resto-bars, all kind of public transport and a lot more can be accessed in the shortest amount of time possible. Starting at a price of Rs.37.60 lakhs and moving up to Rs.79 lakhs, the apartment at this development are super-high on luxury, but low on price! May it be a new home or an investment for that matter, an apartment at this development is definitely worth a buy. You can choose from a number of home loan facilities through associated banks, NRI services, customer support and a lot more for a hassle-free buy. Welcome to your oasis of modern-day living where the sun is always shining! 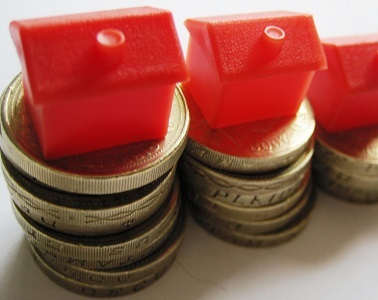 You can now purchase a new Property in Undri Pune without worrying about a load on your wallet!